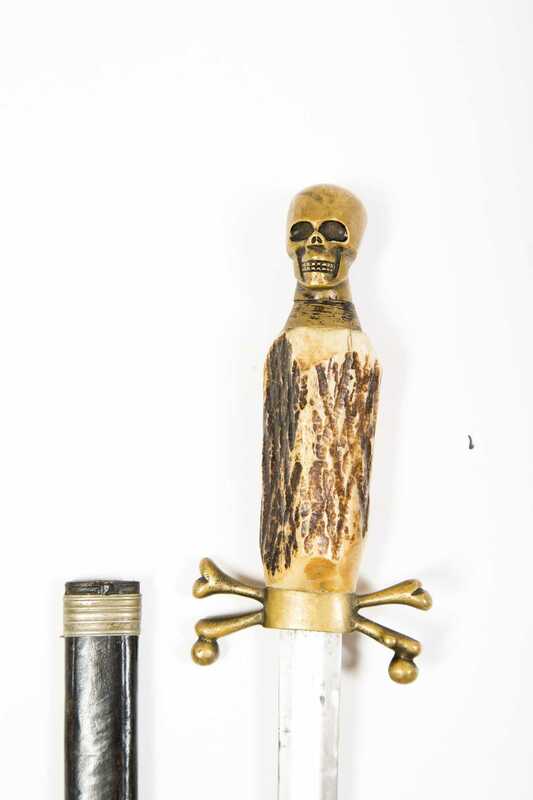 German "Skull & Bones" Dagger. 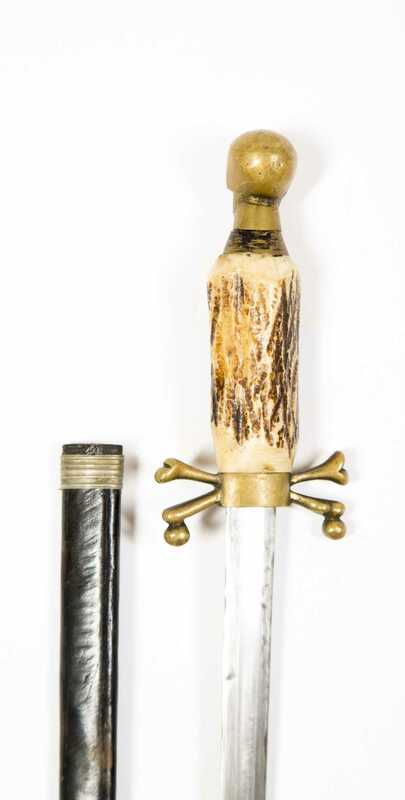 Brass skull-shaped pommel with stag antler grip. X shaped crossguard in shape of bones. Possibly Masonic. Ca: 1950. No scabbard. Blade Ln: 10". Loa: 15".